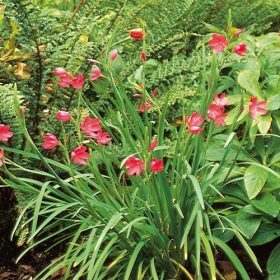 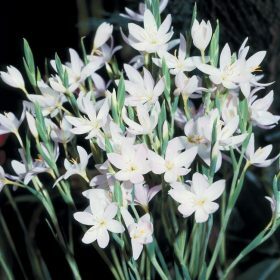 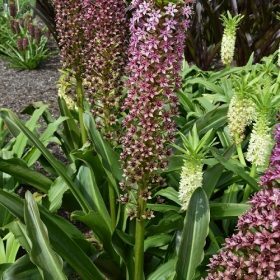 Autumnalis is a late flowering summer plant with flowers of white long lasting spikes. 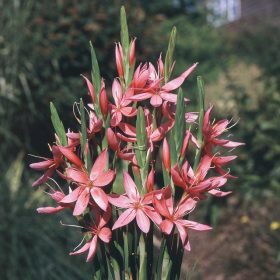 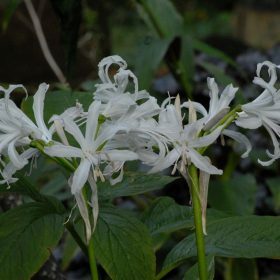 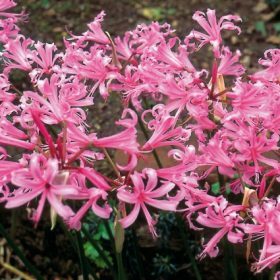 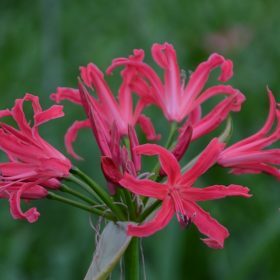 The rose pink flowers of nerine Bowdeii are very majestic and are excellent for cut flower. 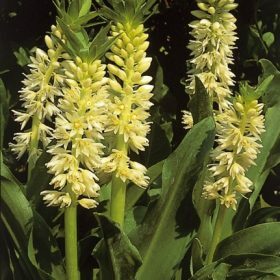 This variety is frost hardy and will survive outside in gardens protected from the worst winter cold. 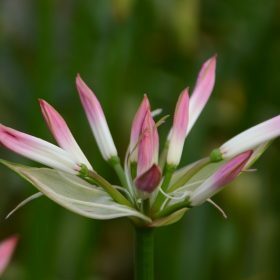 Creamy white tipped flowers that are a deep pink. 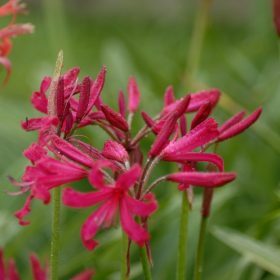 It will really show off the other colours of the paler varieties when planted together. 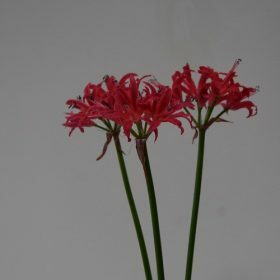 Deep purple red flowers, uterine Mr John is just superb. 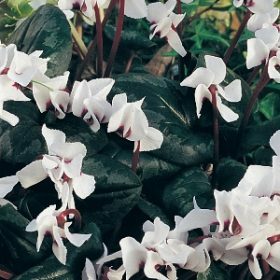 It will really show off the other colours of the paler varieties when planted together.